To enable students to analyse and understand the configuration of distribution channels. Concept of distribution channel: type channel, enterprise channel, unit channel. Technical and economic assumptions underlying creation of channels: specialisation of operations, variations in scale, discrepancies in assortment between production and consumption. 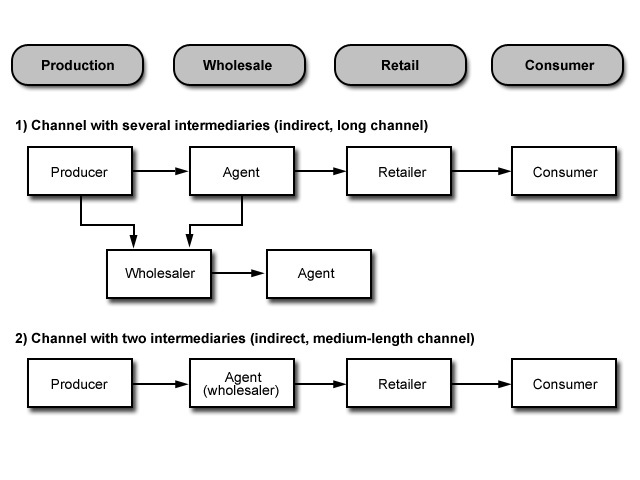 Stages in the distribution process: production, wholesale commerce, retail commerce and consumption. Factors influencing choice of distribution process: nature of product, market structure, environmental factors. 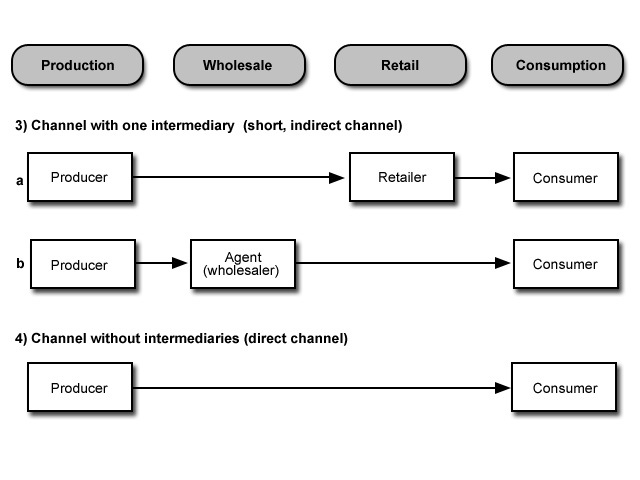 Consumer behaviour, the retail business and distribution process. “The group of institutions that work together to move goods from the factory to the market”. “A group of operational, interdependent units, arranged in sequence to ensure that the necessary operations are carried out to transfer property or ownerhsip of a product from the producer to the consumer or end user, generating a flow of logistics, information, promotion and money”. Manufacturer – Wholesaler – Representative – Retailer – Consumer. Factory – Local warehouse – Wholesaler – Representative – Local deposit – Retailer – Consumer. Certain assumptions underly distribution channels. transaction costs are reduced for suppliers and customers alike. in terms of place, time, quantity and variety and this means that an intermediary unit is required in the channel. “the group of operators with common directives and goals that make the distribution process happen”. auxiliary role (financing, technical and marketing consultancy). economic (unit value, elasticity and seasonal nature of demand).